The internet is becoming increasingly more important for marketing companies. It is important for you to manifest in the search engines. This can be done by making use of Google AdWords. Google AdWords is Google’s advertising program. With Google AdWords, you can create and place ads. Advertising with Google AdWords offers many benefits. These benefits will be explained. With Google AdWords, you can very precisely advertise to your target audience. This is because your ads will only be shown for searches that you specify in advance. So you can easily reach an audience that is already in a further stage of the buying cycle. In addition, you reach a huge audience. 80 to 90% of Internet users use Google as a search engine. With Google AdWords, you can determine your budget all by yourself. This budget will never be exceeded. If you make use of the CPC offer you will only be charged when someone clicks on your ad. Effectively limiting your expenses. In addition, there is no minimum amount you have to spend. There is an AdWords campaign for everyone. The results of your Google AdWords campaigns are easy to monitor. So you can always see what is working good or what is less effective. This provides the ability to quickly react to things, and thus to get the most out of your campaigns. Google AdWords allows you to easily increase your ROI. (Return On Investment) We specialize in optimizing Google Adwords campaigns. 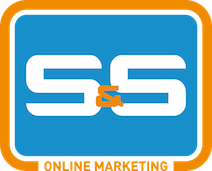 If you are interested in knowing if you could get more success out of your current google Adwords campaign ask for more information to get a Free Google Adwords QuickScan.A�Do not hesitate and contact S&S Online Marketing to view opportunities for your business. Our specialists in the field of Google AdWords can advise you via 036-3030061.